If you want to hear the Edinburgh Telephone Choir sing at Christmas time, they will be appearing at 2 carol concerts in December. The first date is Wednesday13th December 2017 at Morningside Parish Church, Cluny Gardens, EH10 6AE. The second date is on Thursday 14th December 2017 at Greyfriars Kirk, Greyfriars Place, EH1 2QQ. 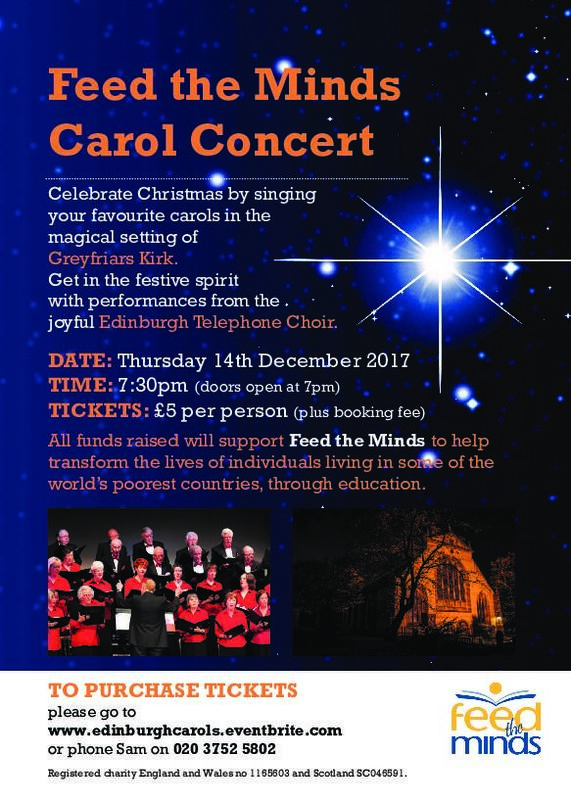 This is a FEED THE MINDS Charity Carol Concert. Full details below. Hope you can make it along and celebrate Christmas with The Edinburgh Telephone Choir.